We offer a variety of window and door treatments with high quality Germen systems with elegant design and style, which make completely unique to your window and doors. 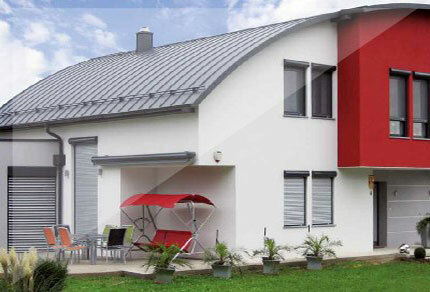 Our unique range of automatic shutters provides unparalleled levels of protection against solar radiation and a remarkable insulation against the heat. Sater window and door shutters are an attractive way to help secure homes, commercial premises and corporate office buildings. Sater offers a variety of curtain design options, tailored to suit the requirements, from complete privacy to security with a view. We also ensure punctuality in the delivery of our products. We, SATER realize that, when we commit ourselves to our customers, we make sure that we fulfill our commitment by all means	necessary. We have a trained staff to ensure utmost efficiency and time conservation. We, Sater, deal with our customers in a manner they feel	most	comfortable	with. Our Executives always take a personal interest in the fulfilling the customer’s requirements as we believe that a personal touch is always necessary to improve and maintain good relations with our customers. We have had our shutters fitted from Sater company for over a month now and the reduction in road noise is fantastic. Thanks again we will definitely be recommending you guys. Just two good ol' boys Never meanin' no harm. Beats all you've ever saw been in trouble with the law since the day they was born. The Brady Bunch the Brady Bunch that's the way we all became the Brady Bunch.